After several weeks of box office dominance, Warner Bros.' Aquaman has officially grossed $1 billion at the global box office, making it the first DC film to do so since 2008's The Dark Knight (which Aquaman has now surpassed) and 2012's The Dark Knight Rises. At the time of writing, the film has earned $288 million domestically and $742 million overseas, for a grand total of $1.02 billion. 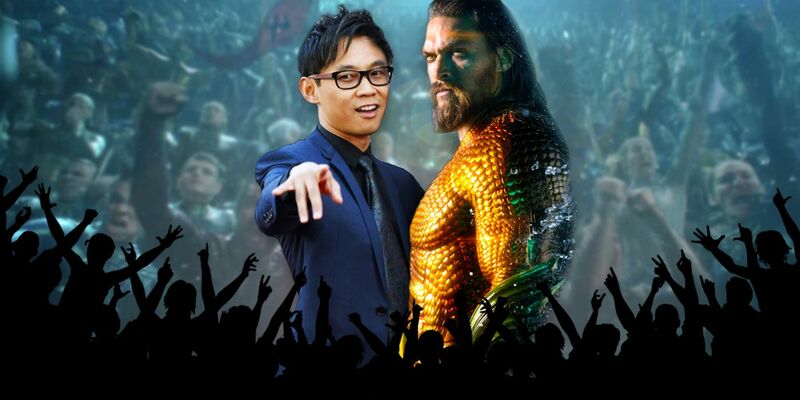 In response to this news, Aquaman's director James Wan released a statement expressing his gratitude for the support his undersea superhero film has received from audiences across the globe, as The Hollywood Reporter noted. "Firstly, massive love and thank you to the fans and audiences around the world," Wan said in his statement. "I'll forever be indebted to Jason [Momoa] for turning Aquaman into one of the coolest, cinematic superheroes ever, and becoming the gold standard for this character for generations to come." Aquaman is the second film directed by Wan to surpass $1 billion at the box office, with the first being 2015's Furious 7.